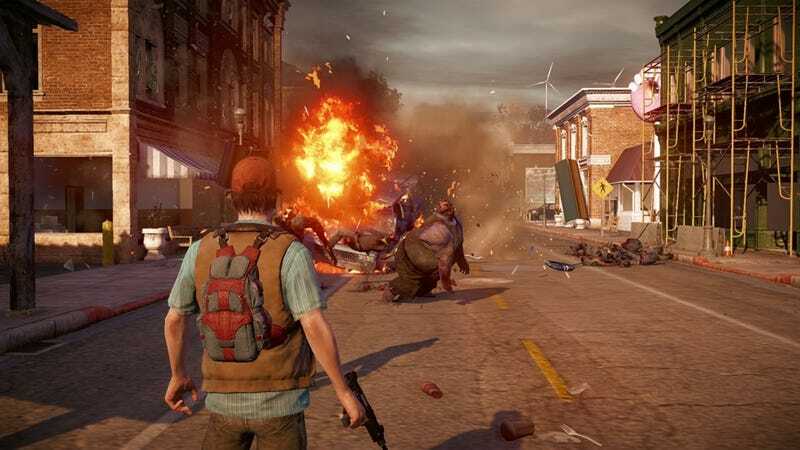 State of Decay, Microsoft's entrant into the ever-growing field of open-world zombie games, is coming to the Xbox One next year, the company just announced. The State of Decay: Year-One Survival Edition will include the original State of Decay, now running in glorious 1080p, previously released Add-on packs Breakdown and Lifeline, as well as some entirely new content. Undead Labs will reveal more on the new content closer to release, and you'll read about it here when they do. Gotta love that "glorious 1080p." Killing zombies just wouldn't be the same without it.